This is why we wanted to ask you if you can easily go without these things if the price is right, be it only for the stellar camera and the pure Android experience. Tell us in the poll below, and sound off about the price range you'd be willing to pay for Google's computational photography genius wrapped up in a midrange package. OnePlus 6T can never be Pixel. I experienced Pixel. It is not about speed, it is about intelligence. You can chose what you want. If it's no more than $550 I'd buy one. Probably $400-500 with Sd 630 or something.... Can't expect any better value from google. Why? You forgot Nexus 4 and 5? How long ago was that? That's like saying u can xpect better value from Apple coz their flagships used to cost 650$. I kinda want to say yes, but considering I've disliked practically every decision Google has ever made on their branded phones, that's gonna be a no. Why would I want a mid-range Pixel when they can't even get the flagship versions right? I'm going to bang u hard if u don't Stop that lie this midrange pixel will be good only if price right. Yes 550 or less and depends on where they skimp out. Will it be better then a pixel 2? They are discounting those 400 dollars, so depending on which is the better phone. Google should bring back the Nexus brand again with all the experimental stuff they want to add to Android, then launch their top-tier Pixel phones with the successful experiments from the Nexus phones. Yes, in other words launch a world-wide beta phone for the tech savvy masses to approve and then launch a mainstream phone with the features that were well-viewed by said beta testers. It won't be the "same great camera" though, the ISP on the lower specced chipsets won't give the same results. This is awkward.... I thought Pixel phones were overpriced mid rangers anyway. I have a Z3 Play, so I'd have to say yes. 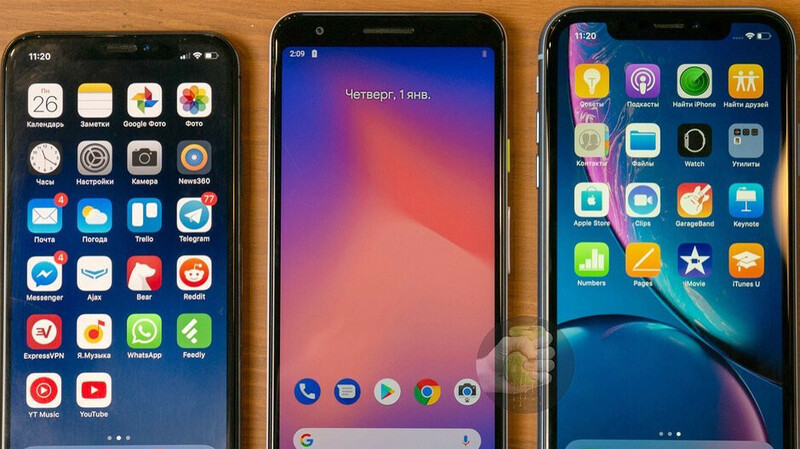 if its notch-city then they should keep their phones, the ugliest phones I've seen this year has to be the pixel's. Not with that 2012-esq design. Dude design doesn't matter everytime what matters more is internal specs and price,stop creating excuses. The ones that leaked are unimpressive. They have too large bezels on top and bottom, as if we are back in 2017 or even older. But I voted "yes", if they ever make a good budget phone, (SD710 would've been enough) I would buy it. I doubt they'll even price it under the 6T. That'll be their downfall. You just can't make a half assed device and charge $500. Google's also had problems with software and hardware on their first couple months of releases as well. If it's cheap enough and has the headphone port I'll be able to recommend it to some friends and family who don't need or want a flagship model.